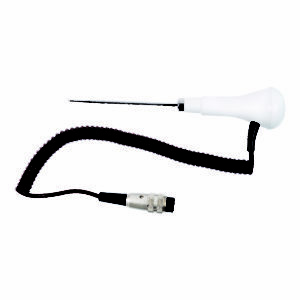 The KX7796 Special Probe is a variant of the PT24L/C Food Penetration Probe, which has BioCote Antimicrobial Protection in the probe handle to minimise the risk of cross contamination, but which has a 30mm shaft instead of the standard 100mm version. It features a Thermocouple Type T sensor for a faster response time and is fitted with a curly brown lead. 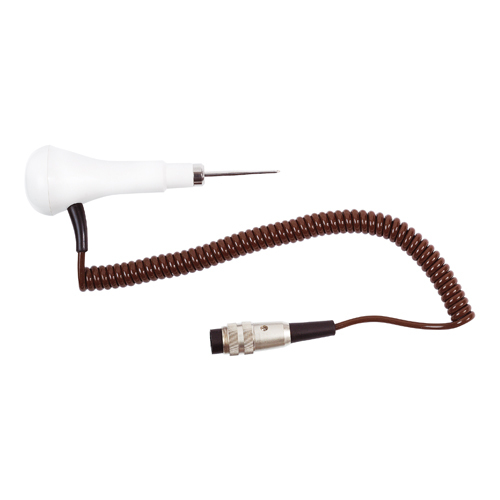 This Special Probe is fitted with a 6-Pin Lumberg connector with locking screw, to provide a strong and secure probe-to-instrument connection with better prevention of liquid ingress. My Probe is stuck in the Lumberg connector? If you are using a Probe, connected to your device via a 6-Pin Lumberg connector and the Probe appears to be stuck in the connector, then it may have been over-tightened. You should initially try to release the screw thread connector gently. To prevent the connector from locking in the future, you could use food safe grease on the connector threads. This problem may also be prevented by keeping the instrument clean when in use. If this does not work, you will need to return your instrument for service. The Probe is where most of the action with any Thermometer takes place. Almost every operation requires a Probe reading. The Probe should be treated with care in order to ensure best functioning and long life. 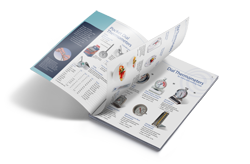 We would recommend that you always have a spare, properly functioning Probe on hand, just in case the primary Probe breaks, or appears to be reading incorrectly. You should not stretch the coiled cable of any Probe, to reach an item to be measured. We would recommend instead that you ALWAYS move BOTH the Probe and the Thermometer, toward the food to be measured. This will help avoid unnecessary stress on the wires inside the Probe. You should not touch the coiled cable or Probe handle to hot surfaces, that might melt the protective coatings, which in turn could damage the Probe wires and render the Probe inoperable. You should not bend the tip of any Penetration Probe, as this too could break the wires and render the Probe inoperable. In general, Penetration Probes are designed for penetrating thawed food only and not for testing frozen food or containers or chipping ice. You should clean the Probe and wire coil with a clean damp cloth, being VERY careful not to pull or stretch the coil and damage the wires inside.